At Miami Lakes Dodge Chrysler Jeep Ram we want you to get the most miles out of your new or used car which is why we offer services to keep your vehicle in top condition. Our greater Miami Dodge, Chrysler, Jeep, Ram service center features some of the area’s most skilled mechanics. Sign up for a service appointment online and our auto technicians will get your Dodge, Chrysler, Jeep, Ram repaired as quickly as possible. Miami Lakes Dodge Chrysler Jeep Ram also stocks a comprehensive inventory of Dodge, Chrysler, Jeep, Ram car parts so that you can repair or customize your automobile. Our parts specialist are standing by to help locate the component you need to get your vehicle back on the road. Alberto, Richard and Douglas were so helpful when it came to helping pick out and get my dream car. From walking around the lot, test driving, making the deal that was right for me, and signing the paper work, they made me enjoy ever step of the way. Five stars ! Dealership and employees were great . We spent over 5 hours at the dealership... all went well except when our vehicle was being turned over to us. The brand new vehicle was not cleaned or vacuumed properly. Definitely need to do a better job in that department. My visit to Miami Lakes Automall was great. My salesman Jorge Cardoza, was friendly and knowledge about the vehicle I wanted. He also helped me get the best deal possible on my Jeep Wrangler and stayed in constant contact with me through the whole process. 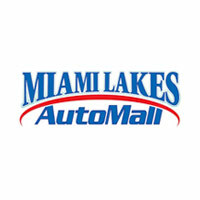 I highly recommend Rolando “Roly” Villanueva at Miami Lakes Auto Mall. Roly is a true professional with over 30 years of experience in the automotive industry. The purchase of my new Chevy Tahoe was seamless and Roly took his time to explain all of the features. Excellent customer service, the place looks very clean and during my visit everyone that works for the dealership was smiling and they were very friendly. I would always recommend Miami Lakes AutoMall dealership to my friends and family. I would like to thanks Rolando Villanueva for helping me, for his patience and dedication during and after the entire process. At all times, Miami Lakes Dodge Chrysler Jeep Ram stocks a great selection of new and used Jeep vehicles. Our inventory offers many trim options and added features. If you are undecided on which vehicle is right for you, we have a full team of professional salespeople that know our inventory inside and out, so we are a great resource to answer any questions that you might have. Miami Lakes Dodge Chrysler Jeep Ram has the Dodge, Chrysler, Jeep, Ram you have been searching for at a price you can afford. With a friendly and helpful sales staff, highly skilled mechanics and multiple automotive certifications, Miami Lakes Dodge Chrysler Jeep Ram is your greater Miami Dodge, Chrysler, Jeep, Ram dealer. Our mission is to make every customer a customer for life by consistently providing world class services. Superb customer care, competitive prices, and a knowledgeable staff are a few of the things you will find at our new and used Dodge, Chrysler, Jeep, Ram dealership. Visit us today and take a test drive in your dream Dodge, Chrysler, Jeep, Ram or give us a call. We are located a short drive from Hialeah, Hollywood and Miami Lakes. At Miami Lakes Dodge Chrysler Jeep Ram we strive to maintain a complete inventory of new Dodge, Chrysler, Jeep, Ram vehicles. Select from all of the latest Dodge, Chrysler, Jeep, Ram models including the 1500, Wrangler, Durango, and more. We are the Miami Dodge, Chrysler, Jeep, Ram car dealership that will make the car buying experience as simple as possible. Take a test drive with one of our Dodge, Chrysler, Jeep, Ram experts and see what makes these some of the best selling vehicles in America. If you’re looking for a used car in the Miami area, we have a large inventory to choose from. From used cars, trucks, sport utility vehicles to mini-vans, our selection has something for every person and need. Miami Lakes Dodge Chrysler Jeep Ram’s inventory of quality pre-owned vehicles has people from all over the Miami region coming to our dealership. We offer great deals on our used cars and can help you finance them as well. For a low-interest rate car loan in the Miami area, visit the experts at Miami Lakes Dodge Chrysler Jeep Ram. We’ve helped people get the car loans that fit their budget so that they could drive away with a new or used car quickly. Regardless of your credit status, we can help. No credit or bad credit? No problem. Come down to 16600 Northwest 57th Ave and speak to a financial professional. An affordable car loan or lease is within reach at Miami Lakes Dodge Chrysler Jeep Ram. The employees at Miami Lakes Dodge Chrysler Jeep Ram look forward to your visit. Give us a call or use our step by step directions to visit the Miami Dodge, Chrysler, Jeep, Ram dealer with unbelievable deals and superior service, Miami Lakes Dodge Chrysler Jeep Ram. We are just a short drive from Hialeah, Hollywood and Miami.